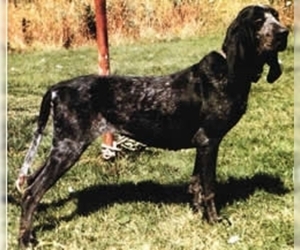 Overview: The Anglo-Francaises de Petite Venerie is a mixture of French and English Blood Hounds. 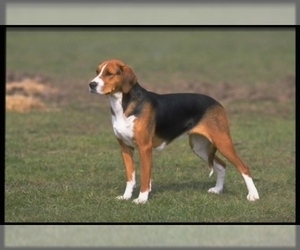 The large size is the result of breeding larger French hounds with the Foxhound. These dogs prefer to live indoors. Character: The Anglo-Francaises de Petite Venerie loyal and intelligent. This dog is a good tracker for all small game. 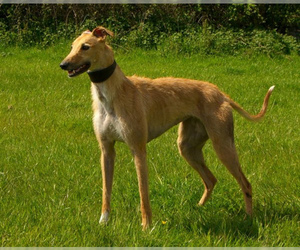 Temperament: The Anglo-Francaises de Petite Venerie gets along with children and other dogs, if raised together as puppies. 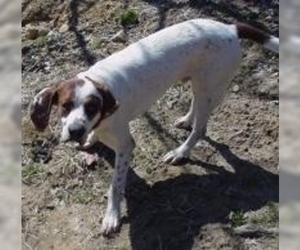 They may not do well with other pets, like cats and rabbits, which they may view as prey. Training: The Anglo-Francaises de Petite Venerie accepts training well. They are intelligent and eager to please, so they respond well to positive reinforcement. 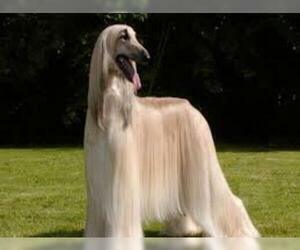 Activity: The Anglo-Francaises de Petite Venerie needs regular walks and enjoys at least a small yard. They should be walked on leashes to prevent them from tracking other animals.